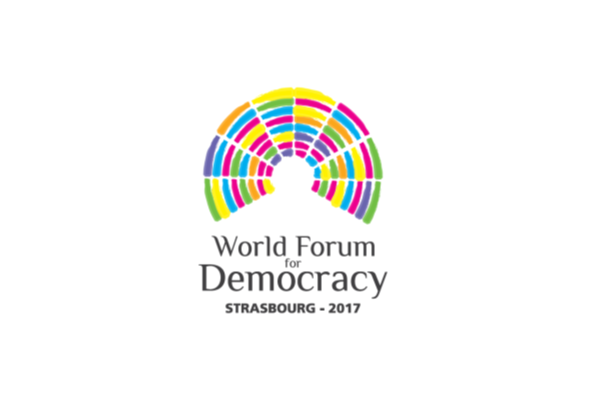 World Forum for Democracy 2017 - From Fake to Fact: How to strengthen ties among Research, Policy, and Society to counter populism? 'Post-fact’ politics is internationally fuelling concern, particularly in contested fields of public policy, such as social and minority rights, external relations and migration/refugee affairs, and, not least, counter-terrorism and -radicalisation. The interplay of value divergence and uncertainty has proved very vulnerable to opportunistic, simplistic discourses that blend out uncomfortable facts, disqualify opposing views, and polarise public opinion. Under such circumstances, the relationship among science, policy making, and society is taking a new twist: In the face of proliferation of fake news via social media, and the spread and ‘normalisation’ of uncivil and manipulative behaviours in the public sphere by populist and extremist parties for political gain, the demand for evidence-based resistance has become visible. While researchers, policy makers, and the media operate along different logics, interests, and time-frames for their action, there is a pressing need to re-examine responsibilities of research and academia, politicians and public administration, as well as the media and the organised civil society, and recast their strategic partnerships. A common objective thereby is to contribute to the self-defence capacity of democracy’s ‘immune reflexes’ by providing evidence and facts to inform policy making both in the technical-scientific sense, and by promoting plausible counter-narratives in the social media and the public sphere in general. The speakers’ inputs, representing different stakeholder groups, spin around the topics of 'How to make research results ‘travel’ as useful and usable evidence to policy makers and civil society actors?’, but also, vice versa, ‘In what ways decision makers and media should integrate evidence from research in order to better serve the public interest? 1/ What sort of evidence is needed by policy makers, journalists, and CSO practitioners in order to evaluate populist and extremist content, effectively counter distorted narratives, fake news, and undocumented assertions against fundamental rights, and the rule of law? 2/ How do success stories and best cases of evidence transfer to policy and civil society look like? Who, together with whom, is to establish open channels of exchange, at which stage, and what for, in order to facilitate application of such knowledge to inform policy-making and promote plausible fact-based counter-narratives? 3/ Which are the barriers and the untapped potential on the supply and the demand sides for the uptake of scientific knowledge by policy makers/practitioners on the ground? Often, robust research produces valid and reliable evidence, yet it is not always perceived, understood, or timely used by key stakeholders.